It does not matter if you are one of those women who goes to the salon regularly to maintain the colour of their hair or the do-it-yourself type. We can all admit that at least once in our lifetime tried dying our hair ourselves. Whether it turned out catastrophic (that happened to me once) or good, it all comes down to proper application. Not to mention the product quality itself is a key factor in giving good results. 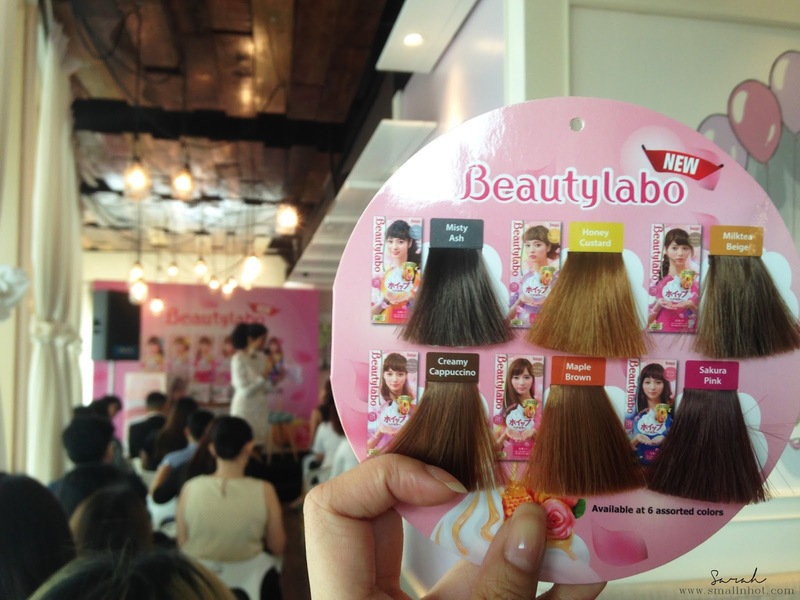 Beautylabo has come up with 6 new whip hair colours and improved foam quality for more even results. 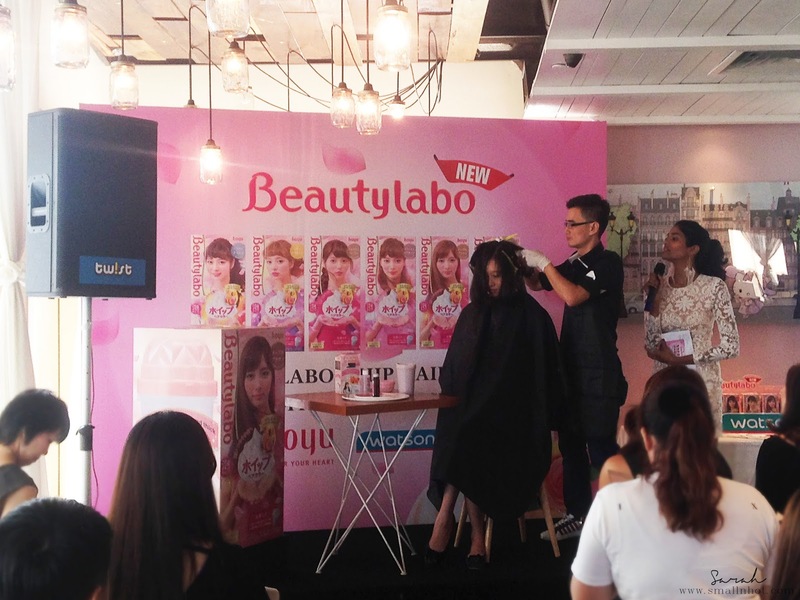 During the launch, experts gave a how-to in the quaint Hello Kitty Gourmet Cafe situated at Sunway Pyramid. The stylist applied the product hands-on to prove that the foam is easy to spread throughout the hair. Now, the mixture recipe ensures even blending that comprises of two liquids; colour base and developer. You only need to mix these two liquids together in the provided shaker container for at least 30 times until it froths up. I might add that the container is shaped resembling a coffee to-go cup! Next, use the gloves provided in the product package then scoop the foam up, apply and spread evenly. The new formulation contains 4 fruit extract, peach juice, orange juice, lemon juice and apple juice. All together infused with honey and rose water. Maple Brown 4-0 is said to be their highlighted product colour. From lighter to darker shades representing summer colours are Honey Custard, Sakura Pink, Misty Ash, Milktea Beige, Creamy Cappucino and Maple Brown. So, if you fancy a pick-me-up for your hair without being too overwhelming, try giving this a go!